← Football, Family and Fun! 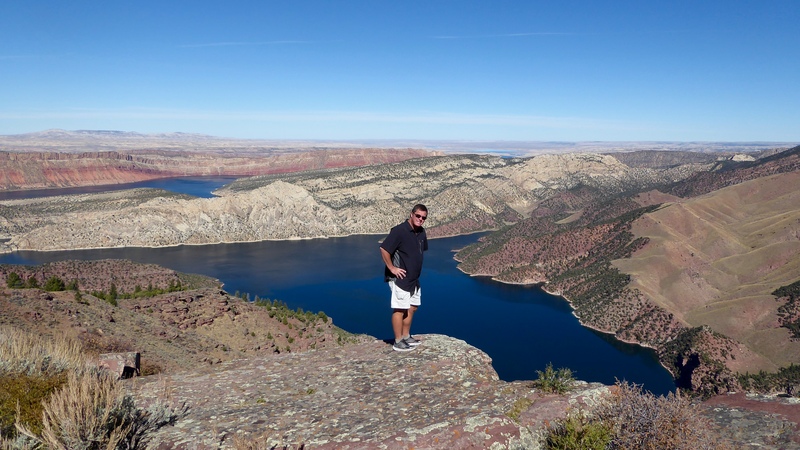 We spent a quick couple of days in the Utah section of Flaming Gorge National Recreation Area. 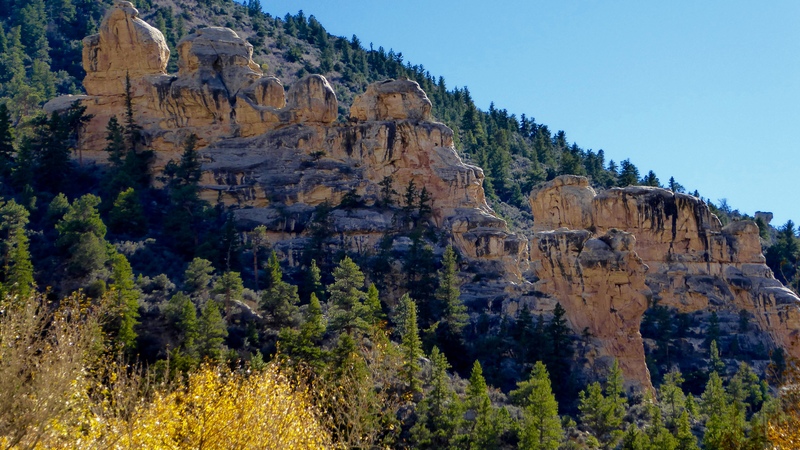 We have always thought Utah, with such varied and dramatic scenery, is one of the most beautiful states in our country and Flaming Gorge just strengthened that belief. 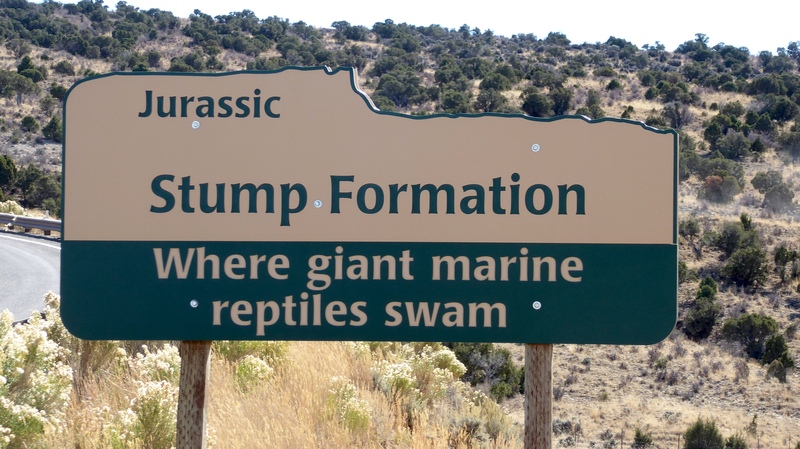 The area has a rich history in geologic and fossil terms and these types of signs are fairly common and interesting to see! 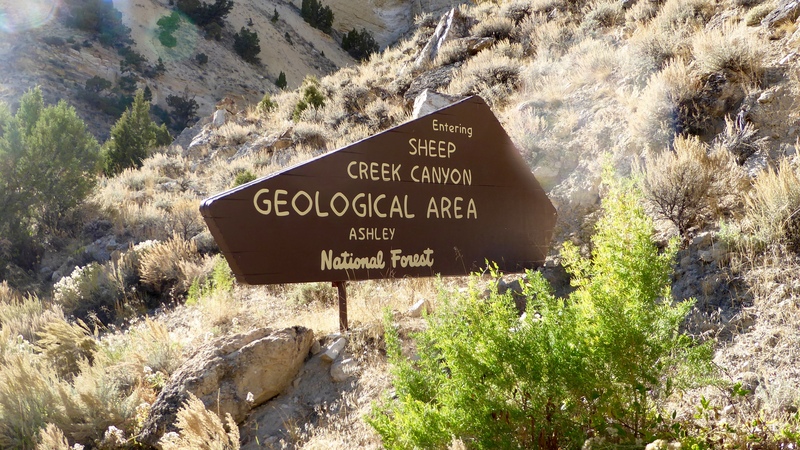 One of the highlight drives is the Sheep Creek Geological Loop. 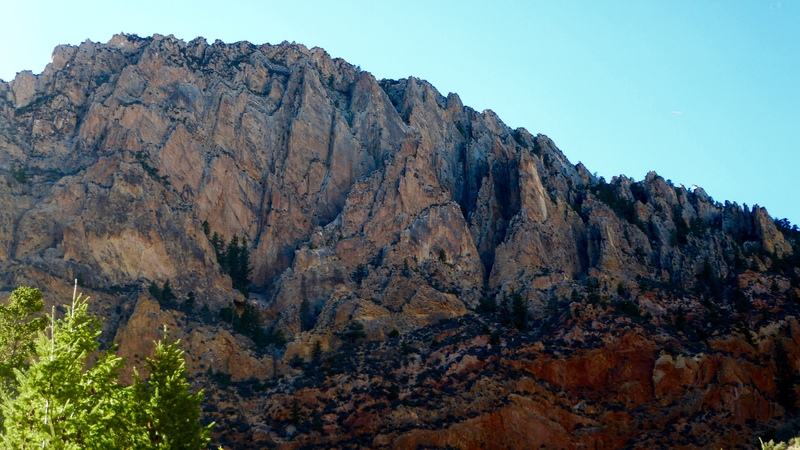 Supposedly there are bighorn sheep living in these rock cliffs but we didn’t see any. It was hard to feel disappointed though when the rock cliffs and formations were so stunningly beautiful. We liked it so much that one day we went one direction, and the next we went the opposite because sometimes the best view can be behind you! 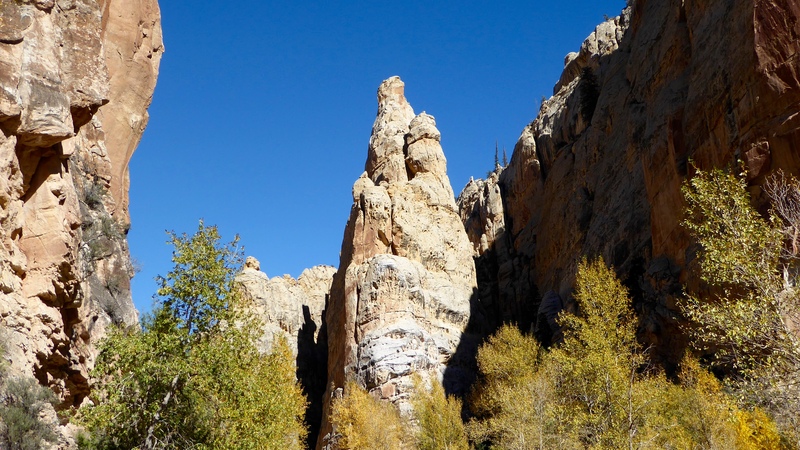 We also went to Red Canyon, a canyon that is 1700 feet deep and 4000 feet across. The Green River runs through it and although the pictures don’t show it, the water definitely has a green tint. Although not the first white men to explore the area, both Red Canyon and Flaming Gorge were named by Wesley Powell in 1869 because of the beauty and red tint of the walls along the river. 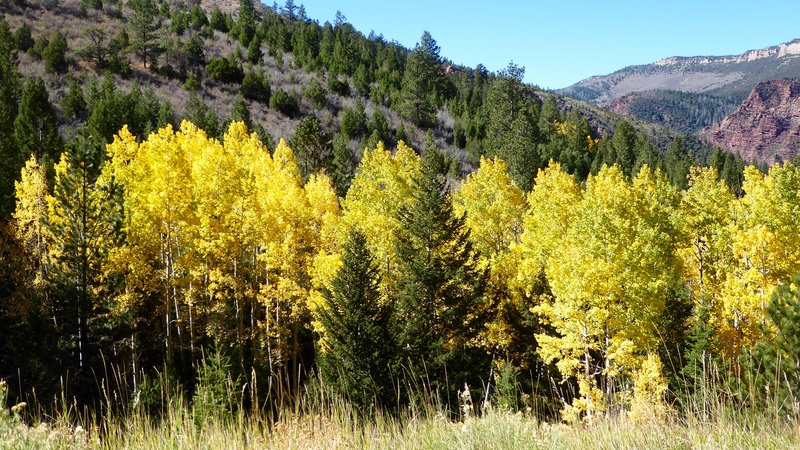 The area also has a “colorful” past with outlaws such as Butch Cassidy and the Wild Bunch spending time in the area. 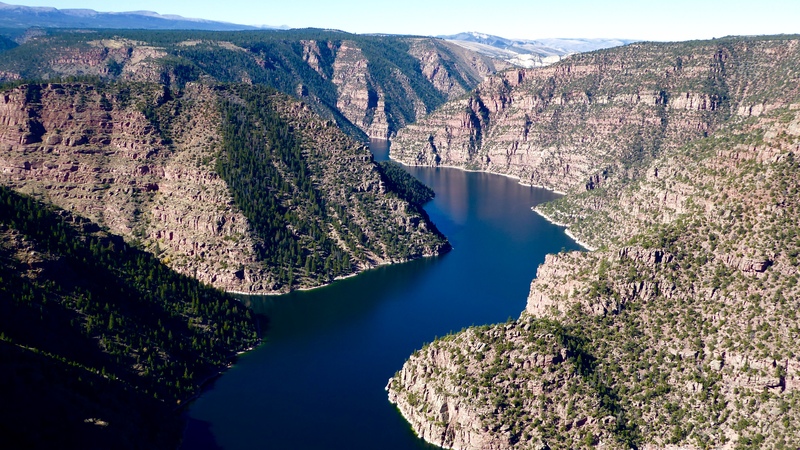 At the south end of the Flaming Gorge National Recreation Area is the Flaming Gorge Dam. Access is restricted on the dam but we were fortunate to be able to take a free tour the day before they were discontinued for the season. 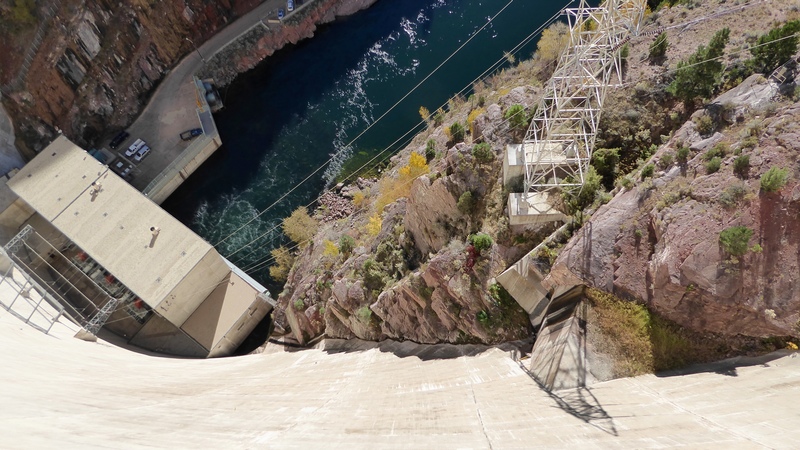 Flaming Gorge and Glen Canyon Dams were the last large concrete dams built in our country and completed in 1964 and 1965 respectively. 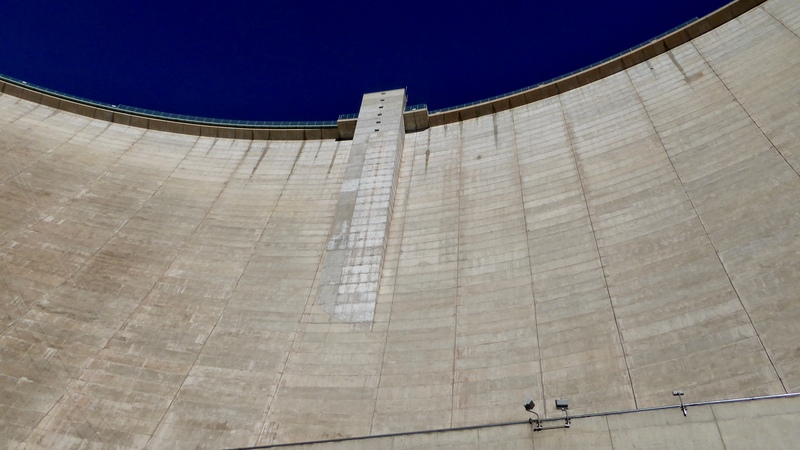 The concrete in a dam this large takes 100 years to fully cure. This one should be “done” in 2064 and Randy says he probably won’t live to see it! The white shaft in the center is hollow and has fully cured. 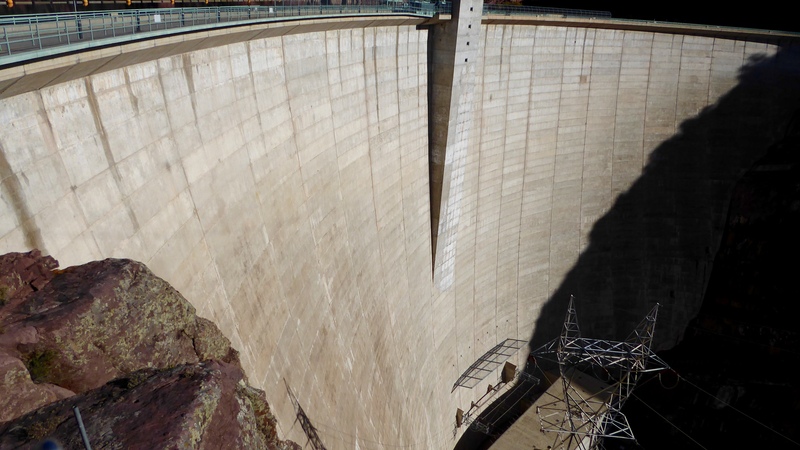 The Flaming Gorge Dam serves several purposes. 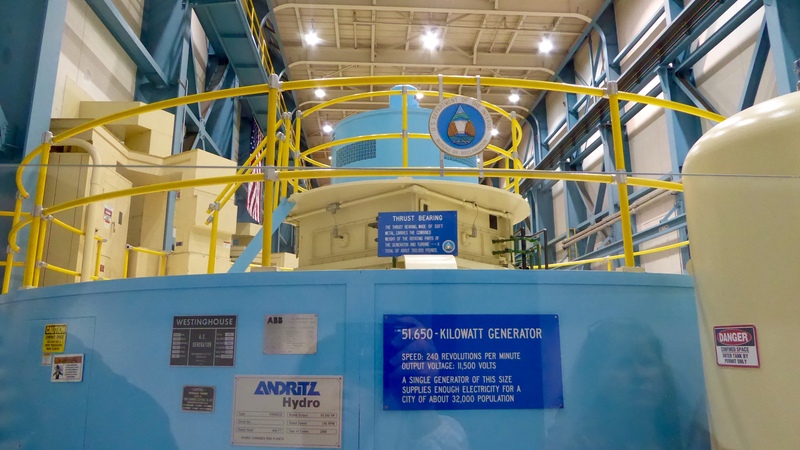 It was primarily built for flood control with a secondary purpose to provide water for agriculture. 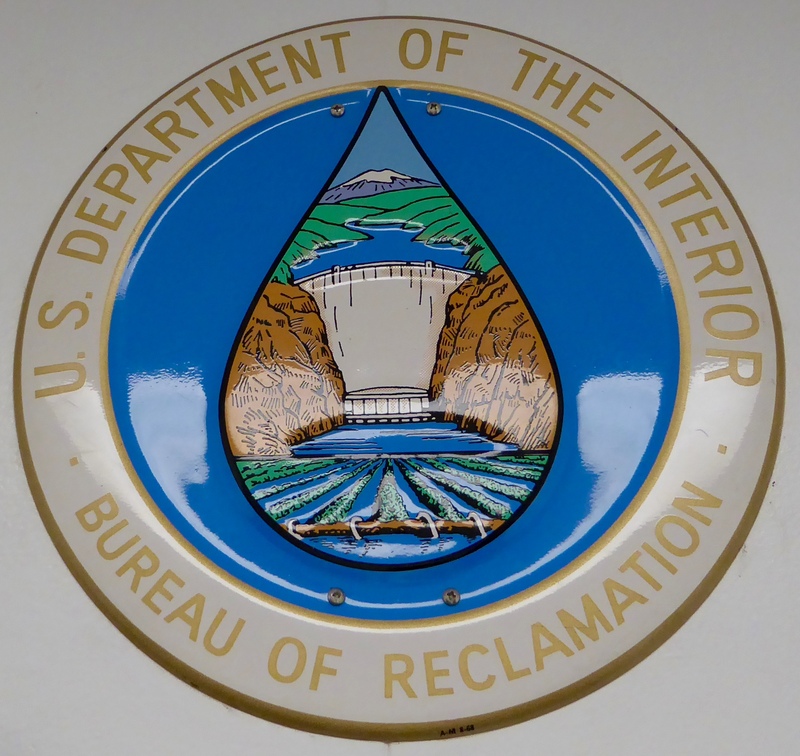 Those goals are represented in the Bureau of Reclamation’s past logo. Recreation is an additional benefit. There are miles of boating and fishing opportunities above the dam in addition to marinas, campgrounds and lodges. Given a cliff edge, Randy is compelled to stand by it! Below the dam, the Green River is famous for rafting and trout fishing. The river’s water temperature below the dam is modified (depending on the depth of the water released) to assist in habitat needs for fish and other wildlife. Although the area supposedly has rich wildlife variety, we saw very little. We saw reference to bear, elk, deer, moose, and big horn sheep. 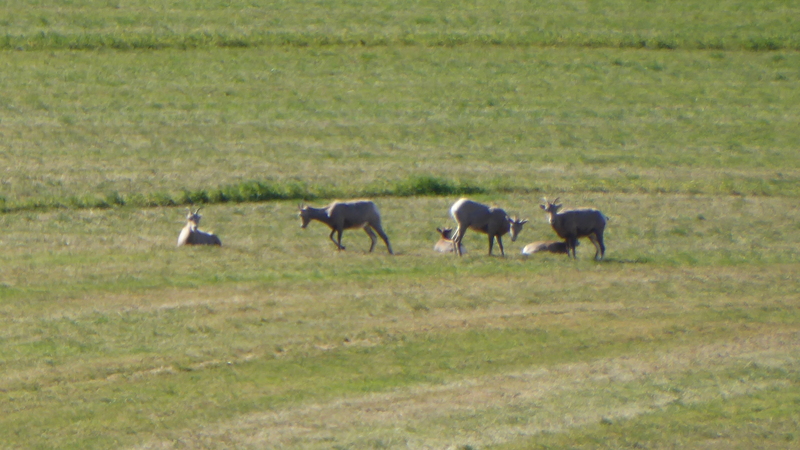 The native big horn sheep died off years ago after exposure to domesticated sheep but have been re-restablished and are doing well. We were slightly disappointed not to see more, but we did see these mountain goats in a field outside of town! There were hunters all over the area outside the recreation area so maybe these sheep, and all the other animals, were just taking cover in unusual places. Sometimes we felt as though we had Flaming Gorge all to ourselves, but that isolation came at the cost of reduced opportunities. 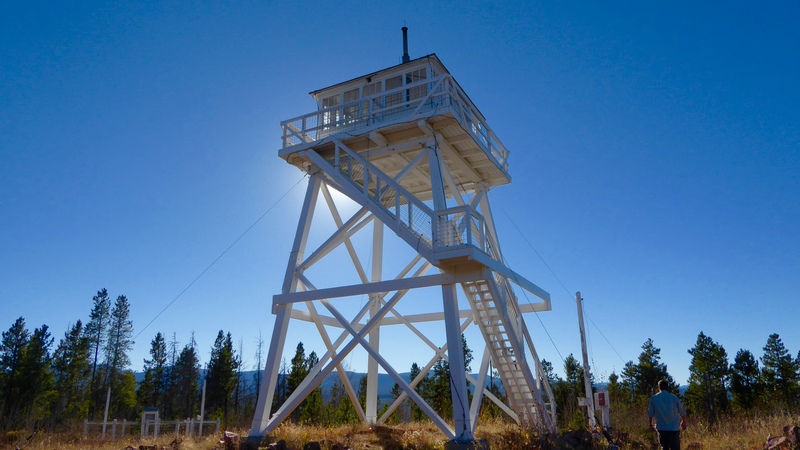 Some visitor centers and activities were closed such as the Ute Fire Lookout, built by the CCC in 1937. Although no longer actively used in fire detection, it is seasonally open for viewing and tours. 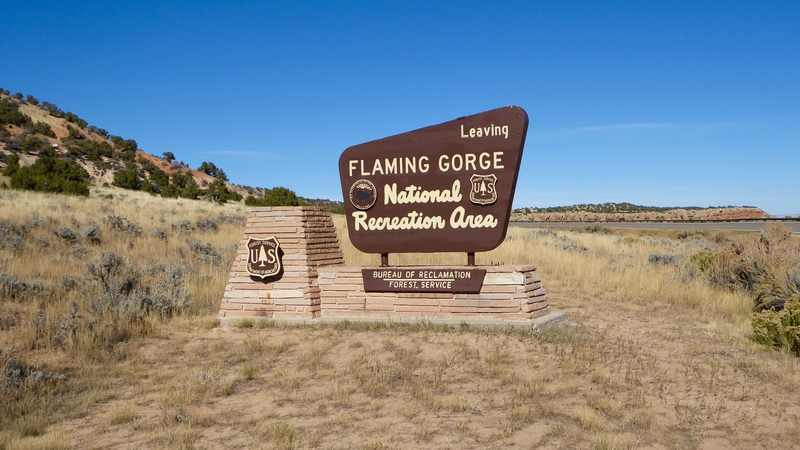 You would expect a place called Flaming Gorge to be beautiful and it is. Seeing it in the fall was just made it more so! 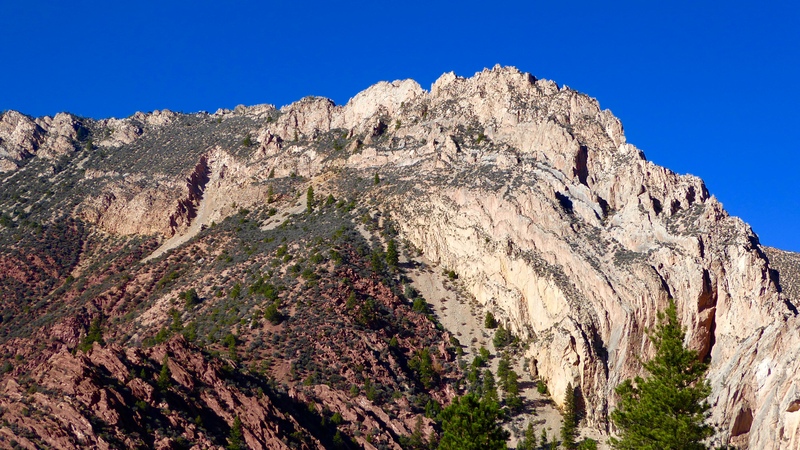 Thank you for visiting the Flaming Gorge area and your write-up on our area. Would it be okay if we shared a link to your blog on our facebook page? Please reply to flaminggorgechamber@gmail.com. Thanks again! Certainly. It is a beautiful place and if we can be of help, we are glad to do so. Who got the cool red shirt?? Looks like a beautiful area to visit. It was the tour guide’s sweatshirt. We didn’t look at getting one because of space issues but it days gone by I would have had one ! 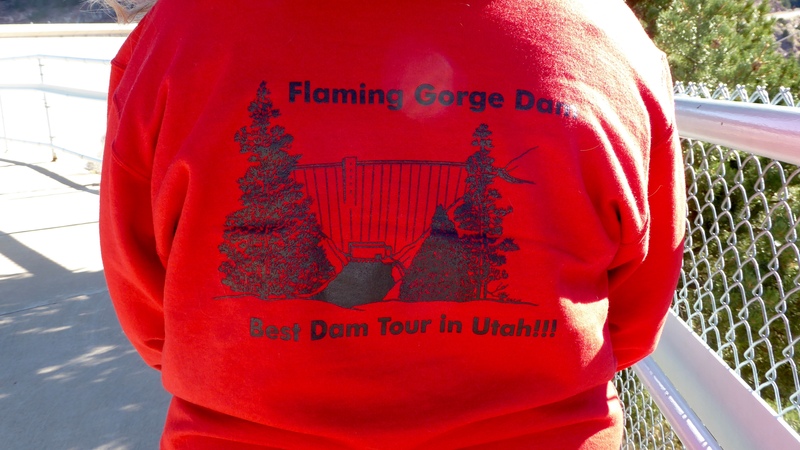 Looks like you enjoyed Flaming Gorge & many of the sites. We’ve drove the gorge loop many times through the years just for a day trip. Always find something new. 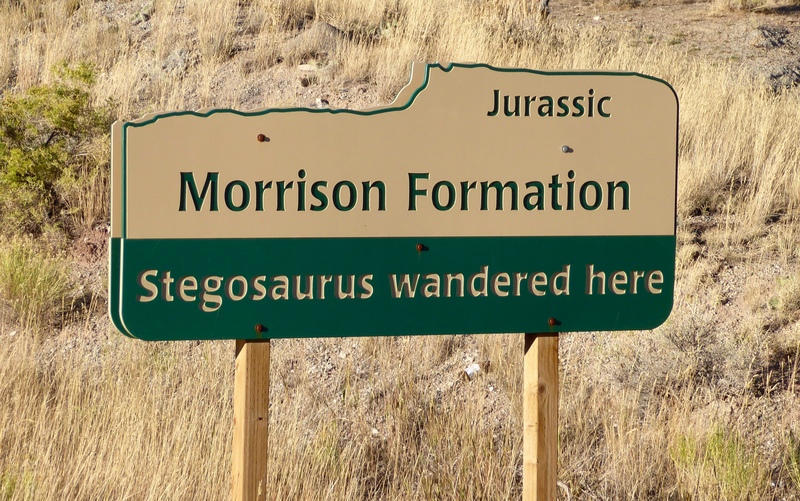 If the wind hadn’t been so bad when you were here we thought about driving out to the petroglyphs – next time! Sure enjoyed having you both & hopefully see you again soon! Love to see the petroglyphs next time. I am going to look at hosting in an Eastern Idaho park next May – maybe we can meet up at Bear Lake or Henry’s Lake!